Carroll Poke Runyon describes himself as a Gentleman of the Old School which he defines as: One who recites classical poetry to heartless beauties while wrestling alligators. He has lived out his Neo-Romantic philosophy as a Captain in the Green Berets, a student of Ninjutsu, a blue-water sailor, scuba diver, and a ceremonial magician. His background in occult study and practice is extensive: in 1970, following a near-death experience, and a mystic vision, he became the founder of The Ordo Templi Astartes (O.T.A.). which is now America’s oldest continually operating Ritual magick Lodge. In 1980 Runyon received his Master’s Degree in cultural anthropology from California State University at Northridge, specializing in Magick. After graduate school he went through all the degrees of Freemasonry in both the Scottish and York Rites. He then undertook an intense series of Tibetan tantric initiations and training sessions under the direction of H.E. Luding Khen Rinpoche of The Sakya Order, mastering the Vajra Yogini (Goddess of the Sorcerers) system. Runyon later received the Kalachakra initiation from H.H. The Dalai Lama. 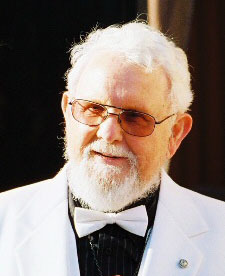 Carroll Runyon has served as an officer in three active Golden Dawn temples. His articles on Magick and the Western Tradition have appeared in Gnostica magazine, and his Order’s journal The Seventh Ray. His most noted contribution to the post W.W. II occult revival has been his rediscovery, and subsequent development, of the facial reflection/distortion dark mirror scrying method for magical evocation. In 1974 he appeared as a guest on Tom Snyder’s network television Tomorrow Show narrating film footage of O.T.A. magical operations. 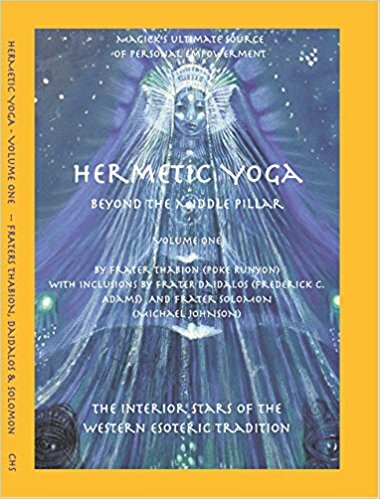 In 1996, through his Church (The Church of the Hermetic Sciences, Inc.) Runyon wrote, produced and narrated a 75 minute video documentary entitled: The Magick of Solomon, and also authored its companion book The Book of Solomon’s Magick. Always a pleasure to listen to Poke. At about 48 min remaining Poke mentions that if Bardon had lived he would have probably got into the Middle Pillar type work. I think Bardon was aware of the middle pillar because: in Key to the True Quaballah Bardon discusses ‘spelling in the feet’ which I think relates to the vibratory formula of the middle pillar method.